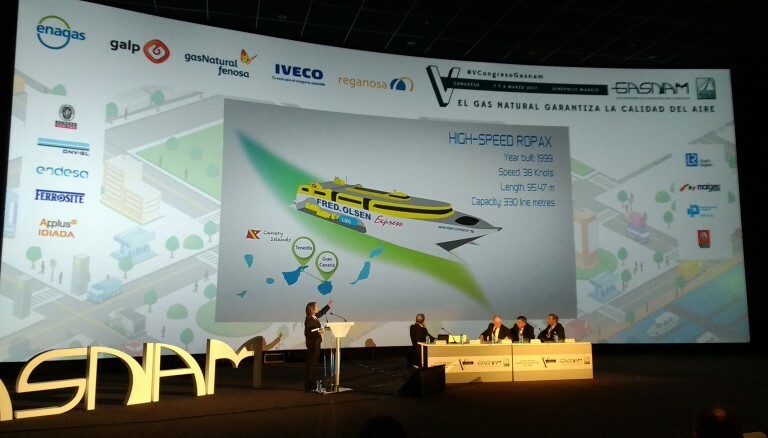 March 9, 2017.- Yesterday the GAINN4SHIP INNOVATION project was presented at the “5th GASNAM congress” held in Madrid from the 7th till 8th March. 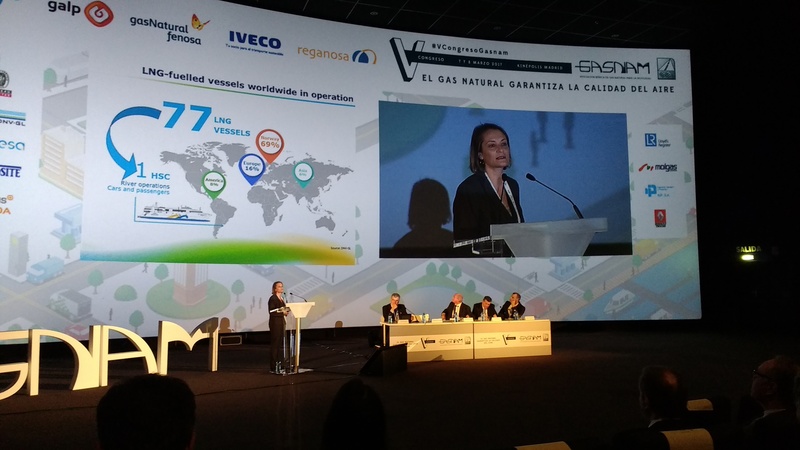 The GASNAM congress, under the heading “The natural gas guarantees the air quality” brought together all the companies involved in the long natural gas as fuel chain, from producers to consumers. Moreover, at this event, the important aspect of the air quality were discussed by the best and most renowned experts of each sector. 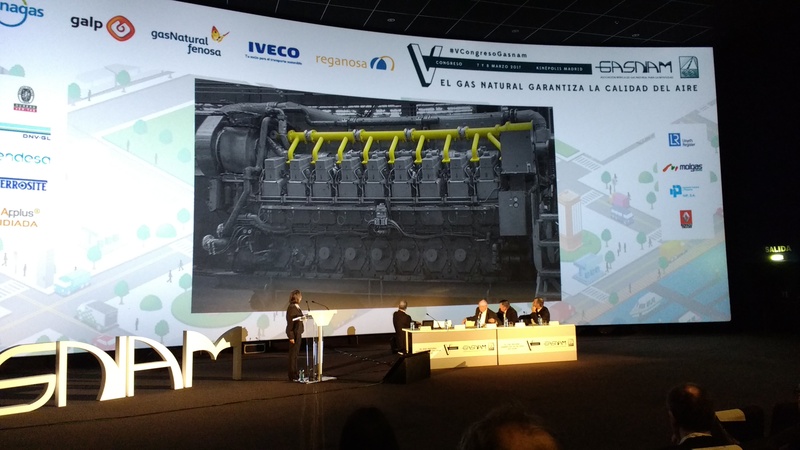 Mercedes de Juan, Technical Manager at Fundación Valenciaport, participated in the session “Ships with LNG as fuel” presenting the adaptation of the world’s first LNG dual-fuel engine for high-speed vessels carried out by the shipping company Fred. 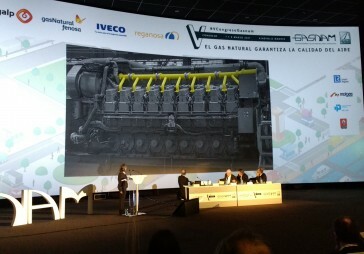 Olsen S.A. within the GAINN4SHIP INNOVATION project. 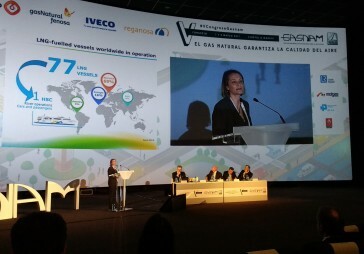 The event was a great opportunity to discuss with many LNG stakeholders about the trends in this market.